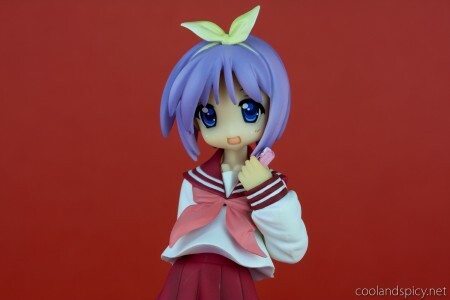 Finally, new Lucky Star figures have arrived! 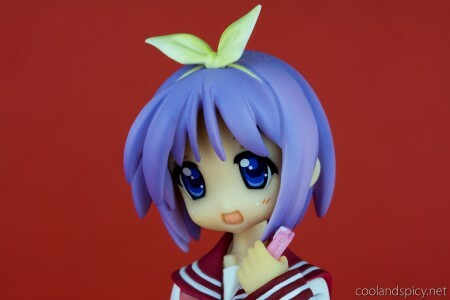 It’s been 6 months since I first received the first half of Clayz’s 1/8 Lucky Star set, which included Kagami and Konata. Now, it’s Tsukasa and Miyuki’s turn ^^. She also has her school bag in the other hand. Used my 100mm macro lens for the photos here. 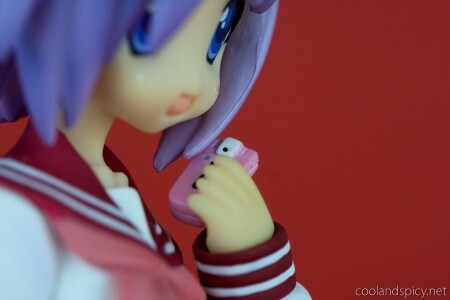 Works great for figure photography. 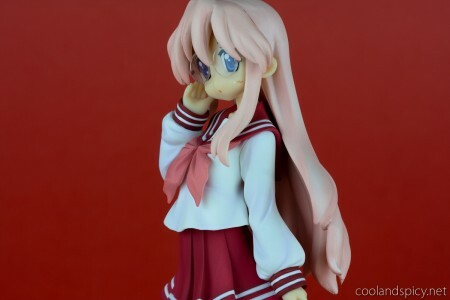 After reviewing the images, I believe I shot most of the photos with a slightly too narrow aperture as the background did not blend as much as I wanted >_<. 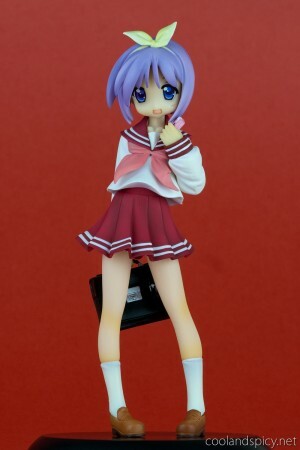 One thing I don’t like about Tsukasa’s pose is that she is looking down slightly. 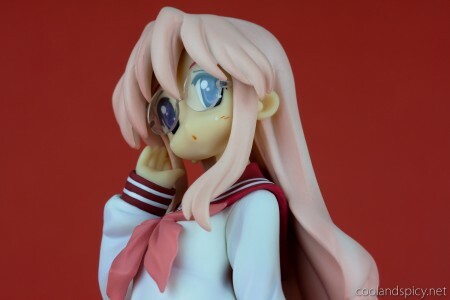 Not a big deal, but required me to shoot from a low angle to get her face plus the rest of the figures in the set are looking straight forward or up. 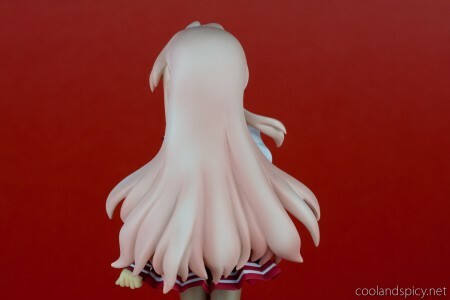 Her pose even looks good from behind. The way she is holding her bag behind her back gives her a super cute look ^^. 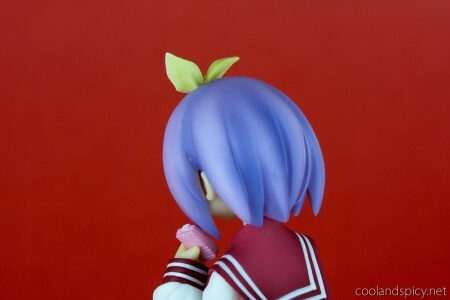 Looking at other people’s photos of Tsukasa, it looks like the yellow areas were intentional. 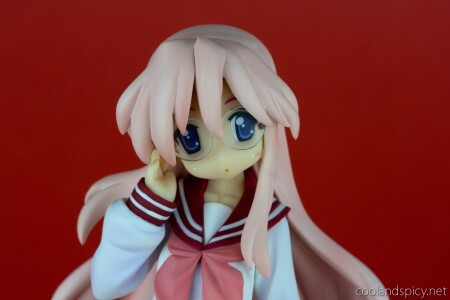 And for the final Tsukasa shot, you get a massive nosebleed for moe overdose XD Time to move on to Miyuki! 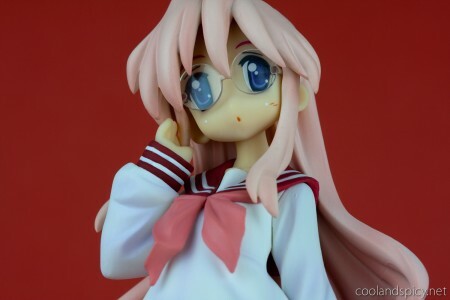 Here we have the pink moe shoujo Miyuki ^^. Not a lot of detail on the hair. 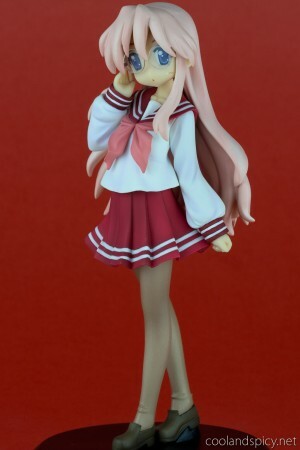 The redeeming features of these figures is that they’re relatively inexpensive at ~5,700￥, they’re actually pretty cute, and they’re Lucky Star ;) Good enough reason for me to get them. And finally, the complete set all together! 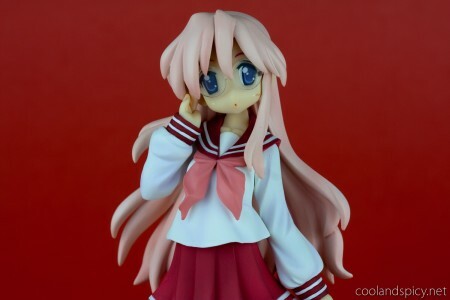 A good set overall, especially for the big Lucky Star fans out there (like me). I couldn’t find any online shops that had all four of the girls in stock. 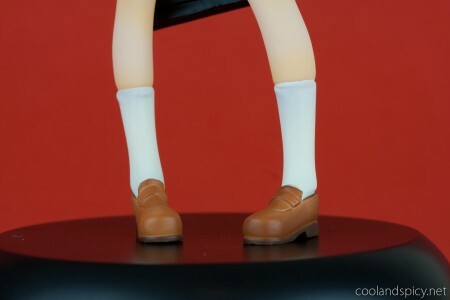 Toylet looked the most promising but they haven’t started shipping Tsukasa or Miyuki yet and they’re a bit more expensive. 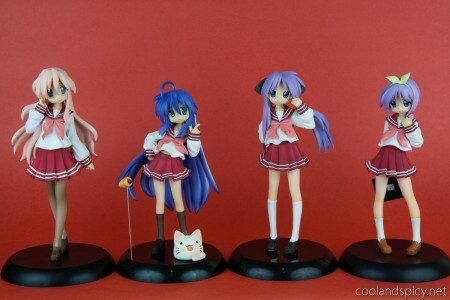 Konata seems to be the most difficult to get a hold of but I don’t think any of them are permanently sold out. Keep looking around if you’re set on getting them! .-= Observer Extraordinaire´s last blog ..Ceph_: Currently reading Spirited Away…I learned some useful kanji （車、門、お母さん、etc） but tokidoki it’s hard to understand =-. Nice! 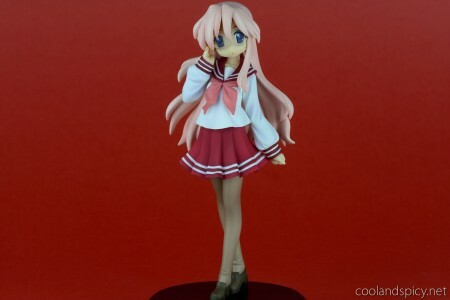 They look pretty cute but I’m not a fan of Clayz figures, bit disappointed in my Sakura figure made by them, their painting can indeed use more work and attention. 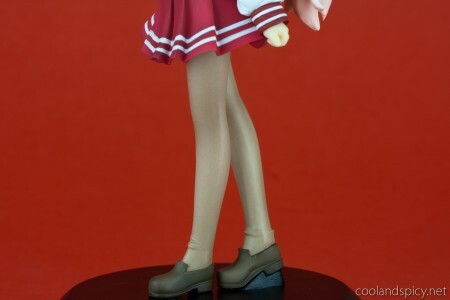 .-= Smithy´s last blog ..Nanoha in K-ON! style =-.